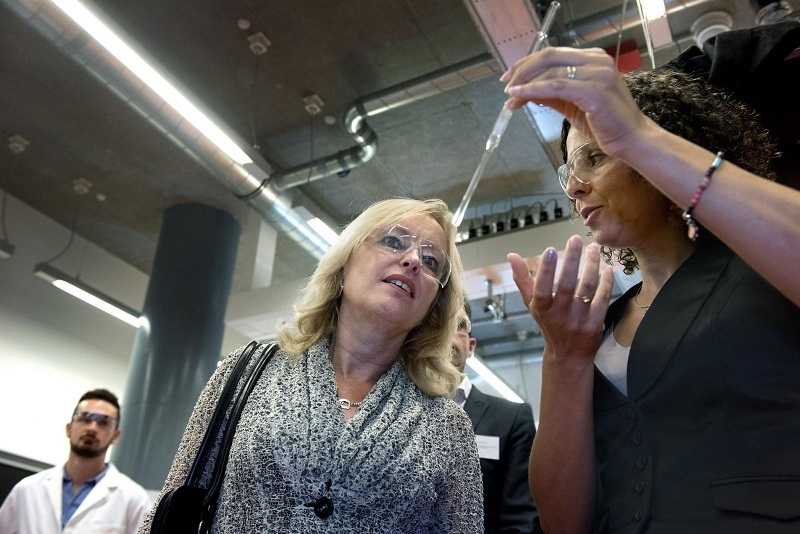 Prior to her lecture during the opening of the new academic year, minister Bussemaker visited the Utrecht Science Park. The politica talked with the young researchers that are involved in the gravitation programmes. 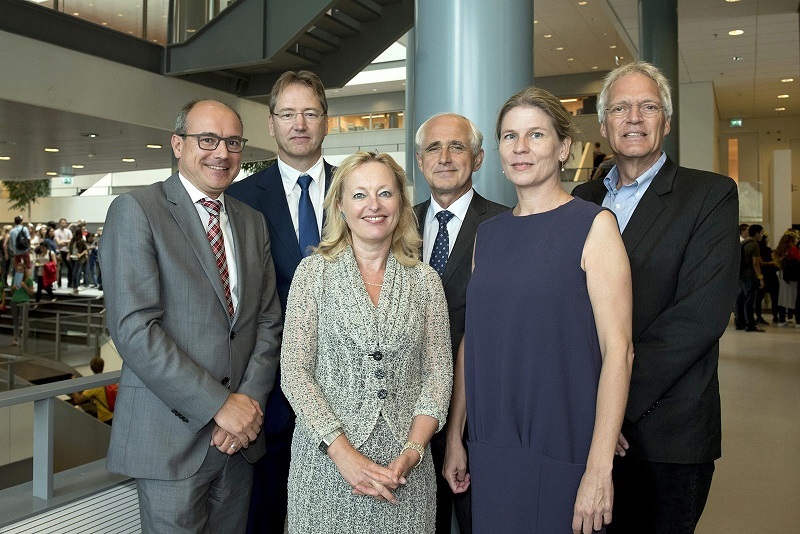 Minister Bussemaker and rector Bert van der Zwaan (Utrecht University) were given a tour through the Inorganic Chemistry laboratories of the Netherlands Center for Multiscale Catalytic Energy Conversion (MCEC). In the laboratories of Inorganic Chemistry, heterogeneous catalysis is being investigated at different scales, from meters to nanometers. For example, the minister was given the possibility of having a fluorescence microscope to look at catalyst particles, which are a few nanometers in size. A number of young researchers within the MCEC program presented their research to the minister. Bert Weckhuysen about the gravity programme: “The gravity program stimulates a multidisciplinary research. Apart from breakthrough research, we focus on outreach, enhance and training young researchers. We see it as our duty to train a new generation of scientists. More specifically, MCEC focuses on energy: the development and improvement of new forms of energy: sustainable, environmentally friendly and less dependent on fossil fuels. From left to right: Prof. Dr. Ir. Bert Weckhuysen, Prof. Dr. Ir. Jaap Sinninghe Damsté, Minister Jet Bussemaker, Prof. Dr. Bert van der Zwaan, Prof. Dr. Chantal Kemner, Prof. Dr. René Bernards. Minister Jet Bussemaker with on the right, Dr. Rosa Bulo and on the left (in the back) Dr. Gareth Whiting. Speech of Minister Bussemaker during the opening of the academic year (in Dutch).